File image of Hewlett-Packard headquarters in Palo Alto, California. Hewlett-Packard says it is cutting another 11,000 to 16,000 jobs, above a target of 34,000 the company outlined in a multi-year restructuring plan in May 2012 and offered an outlook that was below expectations. The company said in a release that the increased cuts come "as HP continues to reengineer the workforce to be more competitive and meet its objectives." HP said it had 317,500 workers at the end of October, when it was partway into its restructuring. HP's CEO, Meg Whitman, said in a statement that the company's turnaround "remains on track." "We're gradually shaping HP into a more nimble, lower-cost, more customer- and partner-centric company that can successfully compete," she said. The company also reported that net income in the three-month period ending April 30 rose 18 percent to $1.27 billion, or 66 cents per share. Excluding special items such as restructuring charges, adjusted earnings were 88 cents per share, meeting the expectation of analysts polled by FactSet. Revenue fell 1 percent to $27.31 billion, below the $27.43 billion analysts expected. The company said it expects adjusted earnings of 86 cents to 90 cents per share in the current quarter, with the midpoint a penny below the 89 cents analysts are looking for. 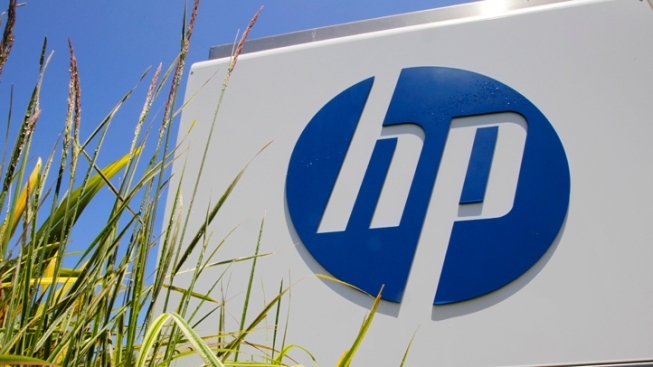 HP said full-year adjusted earnings will be between $3.63 and $3.75 per share. The midpoint is two cents below analysts' expectations of $3.71 per share. Personal computer sales -- HP's largest source of revenue -- rose 7 percent to $8.2 billion as buoyant sales to businesses offset a slight consumer decline. Companies like Microsoft Corp. have shown a similar uptick as corporate clients upgrade computers due to the end of support for the nearly 13-year-old Windows XP operating system. Printing revenue fell 4 percent to $5.8 billion. Enterprise group revenue fell 2 percent to $6.7 billion while enterprise services revenue fell 7 percent to $5.7 billion.